Nicole Dennis-Benn's portrait of Jamaica goes beyond what you'll find on a postcard. The island nation is marked by sandy beaches, gorgeous waterfalls — but also by poverty, racism and classism. It's home to both sprawling, luxurious resorts and tucked-away towns filled with struggling working class families. Working class Jamaicans are at the center of "Here Comes the Sun," Dennis-Benn's emotional and revealing portrait of the other side of paradise — the side tourists never see. Writing about the harsher realities of her home country was difficult at first, Dennis-Benn told MPR News host Kerri Miller. She was worried about how her honesty would be received. Then another Jamaican novelist gave her a piece of advice. Marlon James, who won the Man Booker Prize last year for his own novel about the island, "A Brief History of Seven Killings," told Dennis-Benn: "You do not work for the Jamaican tourist board. You will be fine." "I highlighted both the beauty as well as the ugliness," Dennis-Benn said. "It's in revealing these dark secrets, or this ugliness, that I hope to preserve the beauty of our culture." "Here Comes the Sun" centers on the story of determined, ambitious women in the town of River Bank. While Margot saves everything she can from her job at the resort to put her sister Thandi through school, Thandi can't escape the glaring local standards of beauty that favor light skin over dark. This standard was something Dennis-Benn couldn't escape from growing up, either. Beauty queens representing Jamaica were always light-skinned, something Dennis-Benn noticed as a child and internalized. In the book, and in modern day Jamaica, people turn to bleaching creams and skin-lightening products. "They're applying these creams, these concoctions, to appear lighter — to gain access," Dennis-Benn said. While some critics dismiss skin lightening as vanity, its popularity hints at more damaging racial identity issues. "They are tapping into a history that we refuse to deal with as Jamaicans." Dennis-Benn said even her own mother was shocked by her novel and the issues it tackles at first. "She gasped," she said. But when she finished it, and understood the scope, she began to understand. She saw that it was "humanizing working class Jamaican women, and she said, 'Wow. I'm proud of you.'" 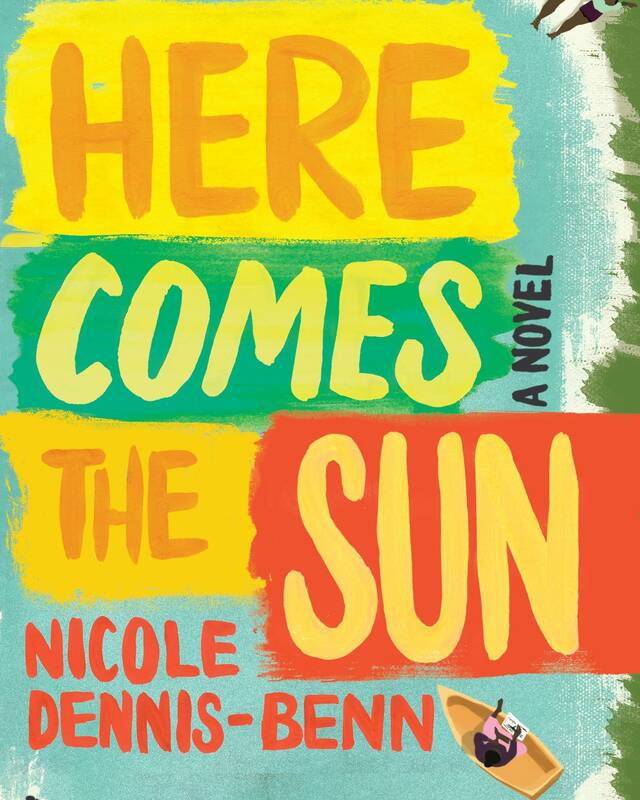 For the full discussion with Nicole Dennis-Benn on "Here Comes the Sun," use the audio player above.